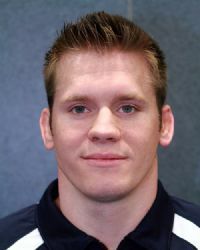 Coach Richmond has been a High School wrestling coach and mathematics teacher in the city of Folsom for 10 years. Coach Richmond wrestled at Kennedy High School in Cypress from 1997-2001, where he was a two-time Empire League Champion, sub-section champion, two-time Southern Section finalist, section champion as a senior, and a two-time state qualifier placing third as a senior. Coach Richmond compiled a 46-1 record as a senior, 40 of his wins coming by either fall or tech fall, as well as earning Empire League and Orange County most valuable wrestler awards. Richmond won League, District, County, & National Army Reserve Scholar Athlete of the Year Awards as well. He then went on to wrestle at the NCAA Division I level for U.C. Davis where he was a three-time Pac-10 place winner finishing up among the career leaders in pins. Coach Richmond was a two-year captain for UCD and served as a volunteer assistant coach after graduating with a degree in Economics in 2006. Coach Richmond then went on to earn his teaching credential for mathematics and masters degree in education from UC Davis. Coach Richmond also trains and competes in brazilian jiu-jitsu (submission grappling) and is currently a purple belt. He was the 2010 No-Gi World Champion. Coach Richmond made a successful return to wrestling in 2014 after recovering from 2 knee surgeries winning the USA Veteran National Championships 4 years straight. Coach Cota wrestled for North Salinas High School. He was a 3 x Monterey Bay League Champion, 3 x Central Coast Section Qualifier, and 3 x State Qualifier. In his senior season Coach Cota was a Central Coast Section Champion and placed 6th in the California High School State Meet. Coach Cota was also a 2x California State Freestyle and Greco Roman Champion. Coach finished his High School career with a 132-26 record. Coach Cota placed 2nd at the Junior World Team Trials in Greco Roman. After High School Coach Cota attended and wrestled for the San Jose State University Wrestling team. Coach Cota recently came out of retirement and won a US Veterans National Championship in Greco Roman Wrestling. This is Coach Ramos 3rd season with the Vista Eagles and Nor Cal Wreslting Academy. Coach Ramos wrestled in High school for the Stockton,CA Bear Creek Bruins for 4 years. After High school he was an assistant coach for Brookside Christian HS in Stockton, CA for 2 years. He officiated high school wrestling matches for the NCOA for 2 years. Prior to coaching at Vista and Nor Cal Wrestling Academy he coached at El Dorado Hills Wrestling Club for 5 years. Coach Ramos has been completely obsessed with the sport of wrestling ever since high school and spends much of his time watching any youtube or clinic film he can get his hands on. Coach Ramos will be coaching our competition team this year. Coach Matt has been training and competing in all styles of wrestling as well as many grappling based martial arts for over 8 years now. He has competed in both Freestyle and Greco Roman wrestling as well as Brazilian Jiu-Jitsu. Matt has experience coaching at the youth, middle school, and high school levels. He is also entering his third year as the Head Girls team coach for Vista Del Lago H.S. Matt brings a wealth of fitness and personal training experience with him as well as an energy and passion for teaching/coaching that is unmatched. This will be Jake's 6th year coaching at Vista Del Lago HS. Coach Sahagun is a Vista Del Lago Wrestling alumni. Jake is a Vista Wall of Fame award recipient for his contributions to this team. He was a SVC League Champion, 2 x Divisionals Placer, and a SJS Masters Qualifier for Vista. Jake currently holds the school record for Pins in a Career. Jake is also a respected member of the Folsom community as an Eagle Scout. This will be Jake's first year helping out with the Nor Cal kids. Buck has been involved with this program as a parent and a coach since it's inception. Buck has experience in martial arts and MMA and has recently transitioned over to the sport of wrestling. Coach Shaw has attended many high level coaching clinics and has learned some of the best coaching strategies from some of the best coaches in the country.